It never was a fairytale marriage for this princess. 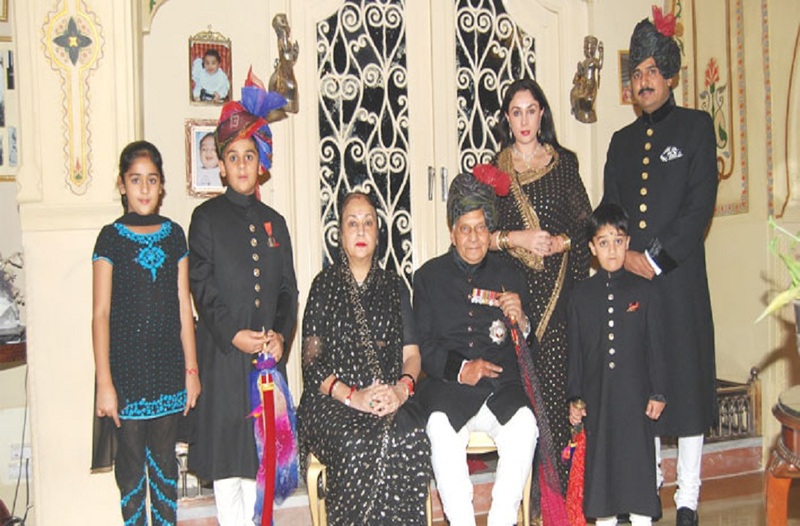 After 24 tumultuous years, Princess Diya Kumari, daughter of the last maharaja of Jaipur, Brig Bhawani Singh, divorced her commoner husband under Section 13B (divorce by mutual consent) of the Hindu Marriage Act. The divorce on December 12, 2018, shocked everyone, just like the marriage had in February 1994, which was a well-kept secret. After filing the divorce petition in a Family Court, both Diya and her husband, Narendra Singh Rajawat, avoided the media and issued a statement about parting amicably. Though the court gave them the six- month mandatory period for reconciliation, they said they didn’t wish to reconcile. They said they had been living separately for more than one and a half years and had settled their differences under which custody of the minor children would remain with Diya Kumari, and that the mandatory six-month period would only prolong their agony. 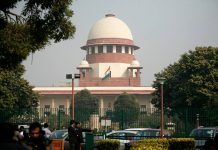 They cited Amardeep Singh vs Harveen Kaur, wherein the Supreme Court held that the period of six months as mentioned under Section 13B (2) of the Hindu Marriage Act was not mandatory but directory. It said that it was up to the court to exercise its discretion depending on the facts and circumstances of each case where there was no possibility of the parties resuming cohabitation. The divorce decree thus ended one of the most talked about marriages in Indian royalty. Both Diya Kumari and Narendra Singh declined to give any comments to India Legal. Narendra Singh is the son of Budh Singh, a Rajput who worked as an assistant controller in the City Palace in Jaipur. Budh Singh was a very close aide of Maharaja Bhawani Singh and was given quarters in the City Palace where he lived with his family. Narendra graduated from the University Commerce College in Jaipur and drifted aimlessly before his father spoke to the maharaja regarding employment for him in the City Palace Museum, where he started working as an accountant. In 1989, when Bhawani Singh contested the election, both Narendra and his father actively campaigned for him. Constant interaction with Diya finally led to the marriage, which was a well-kept secret at first. Many in the royal circle felt it was a well-laid trap by Narendra who emotionally blackmailed Diya and married her. At that time, Maharaja Bhawani Singh was in Brunei as India’s envoy, along with Diya’s mother, Padmini Kumari. Diya was living alone in the City Palace. When her parents learnt of her affair with Narendra, he was removed from palace duty and the family was asked to vacate their accommodation. 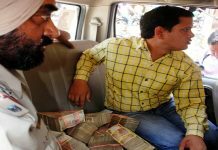 Narendra was threatened by staff members of the palace and, for three years, he and his wife met secretly at a friend’s place. But when her parents planned to marry her off, she disclosed that she was already married to Narendra. This devastated her parents, but they reconciled themselves to her marriage with a commoner. As they held a marriage function in the City Palace in August 1997, the Rajput community raised an objection. The Rajput Samaj claimed that as Narendra was a Rajput belonging to the Rajawat clan and the Jaipur royal family also belonged to the same clan, the marriage was not valid according to Rajput customs. Undeterred, the royals decided to solemnise the marriage secretly at their Maharani Bagh residence in Delhi along with some trusted friends. Only Dr Karan Singh, the former maharaja of Kashmir, was present at the wedding. This correspondent was present too, but not allowed to enter the house and could see the marriage being performed inside a large hall in the house. The couple later returned to Jaipur and started living in the City Palace as husband and wife. But senior employees of the Palace often made complaints to the maharaja against Narendra, who reclaimed management control over some of the family properties. The maharaja became a titular host for special events. In 2002, the maharaja dropped a bombshell by adopting Diya’s son, Padmanabh Singh, as his heir as he had no son. Upon his death in 2011, Padmanabh was informally “crowned” as the maharaja of Jaipur. In 2013, his younger brother, Laksharaj Singh, was made the “titular maharaja” of the former principality of Sirmur in Himachal. Padmini Devi was from Sirmur and as there was no male heir of this erstwhile state, Laksharaj Singh was made the maharaja and became the owner of the vast property of Sirmur state, which included about 200 acres of private forest. However, Narendra was asked to leave the palace on two occasions. Though he managed to retrieve some of the properties that were in the possession of encroachers, some staff members alleged that he was involved in large-scale bungling. He was stripped of his powers. Though called back, he did not regain the confidence of the royal family. He was later again thrown out over allegations of infidelity. He was not allowed to enter the City Palace or do any business dealings of the Jaipur royals. And, on December 9, 2018, the couple moved an application in the Jaipur Family Court seeking dissolution of their marriage. Sources close to the family said they decided to part ways after several meetings. The children, particularly Padmanabh Singh, also insisted on the divorce. And thus ended a tumultuous love story.